Take the wood or plastic frame and create the basic body, at least 5cm wide. First you must figure out where to place the eye screws that will hold the axels. To do this, plot out four points near each corner on one side of the body that will serve as the bottom of the car; the points must be about an inch from the end of the length and ½ inch from the side. Note that these points MUST be parallel to each other. Firmly place the eye screws. Insert the 2 axles inside the eyes of the eye screws; 1 axle to hold the front wheels and another to hold the back wheels. When placing the axels on the screws, keep in mind that they must be able to rotate freely. Then use plastic tubes or pieces of straw to be the spacer between the eye screws, and the wheels and gear that you will be placing on the axle. The tubes/straw will prevent these components from swaying from side to side. Place one large gear in one of the axles. This will serve as the connection of the axle and the motor. Thus, this is an important step; fail here and the car will not run properly. As much as possible try to find a gear that is the perfect fit for the axle. If you cannot find one, then get a plastic gear with a small entry point. You can carefully burn the hole with a soldering iron to make it larger and fit the axle firmly. Whichever you choose to do, glue the gear into place on the axle. Insert the wheels into the axles and adjust/replace your spacers if needed. Once you have the proper measurements, glue the wheels in. Add a small gear or pulley system onto the shaft of the DC motor. Then glue this on to the top of the body of the car (on the other side of the axles) in a way the teeth of the small gear interlocks with the teeth of the large gear firmly yet smoothly. After you do this, move the car back and forth on the flat ground to make sure that the gears are properly working together. Next, wire the motor to your solar panel and glue the panel into place. You could position this in any way that you want, depending on your design preferences. However, it is recommended that you keep it either horizontal or tilted so it could capture as much heat from the sun as possible. Once this is done, you are finished constructing your miniature solar car. You must then test if it works! The first thing you should test again is if the wheels can still rotate properly. Check it on the flat ground, rough ground, an inclined surface, or in your hand. When you are sure that the wheels can rotate smoothly, look for a good heat source. Either good outside on a sunny day or use a strong lamp (at least 120 watts). If all the wiring is correct, then your car will run. Revise and correct the wiring or construction if your car fails to move. The heat from the sun (or any other light source) will be absorbed by the solar panel which converts it into electric energy. This can be used to power almost anything, given that the panel can convert enough energy to handle it. 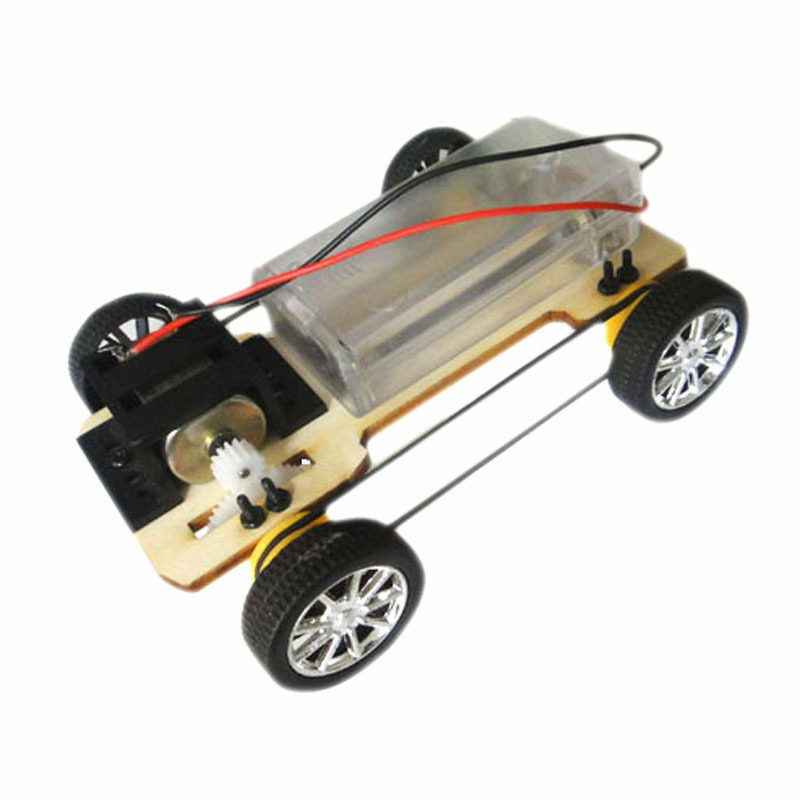 In this case, it powered a small motor which was smartly connected to gears, axles and wheels hence allowing the car to move.